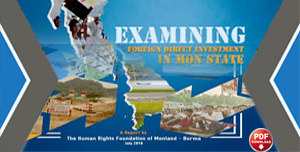 Twenty-four ethnically Mon villages in the mix-controlled areas of Kyar Inn Seik Kyi Township continue to experience double taxation due to the absence of a mutual agreement on tax collection between the New Mon State Party (NMSP) and the Karen National Union (KNU), according to a local source. Although the 24 villages are located in Kyar Inn Seik Kyi Township, Karen State, they are under administrative control of both the NMSP and the KNU. The NMSP has reportedly banned the KNU from collecting tax in the 24 Mon villages in Kyar Inn Seik Kyi Township under mixed-control, heightening tension between the two parties. Local residents report facing many challenges in conducting business under an ambiguous system of taxation. Last month, eight pigs belonging to Nai Sa Khnit Kine, a local butcher from Doe Htoon village, Kyar Inn Seik Kyi Township, were seized by the KNU at a checkpoint near his village. 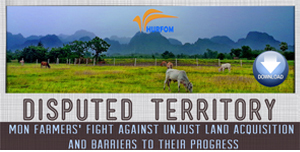 The NMSP went to the KNU base to negotiate a solution; however, they were unable to come to an agreement and the KNU has refused to return or compensate for the arbitrary seizure of Nai Sa Khnit Kine’s livestock. 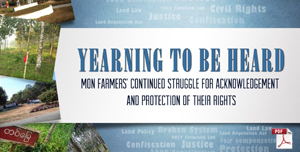 Nai Sa Khnit Kine’s livelihood has suffered since his property was seized by the KNU. 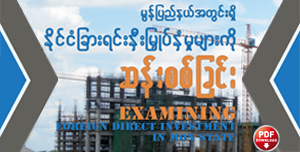 Last month, the KNU sent a letter to the 24 Mon villages in Kyar Inn Seik Kyi Township stating that local businesses, such as gas stations, automobile repair shops, and other small-medium enterprises (SMEs), in the 24 Mon villages must pay tax to the KNU. However, the NMSP has ordered villagers not to pay tax to the KNU as those villages are under the administration of the NMSP. It is believed that Nai Sa Khnit Kine’s livestock was seized as a method of collecting tax despite the NMSP’s order to locals not to pay. As the 24 Mon villages are located in mix-controlled areas administrated by both the NMSP and the KNU, local villagers are required to inform and acquire approval from the NMSP in advance of any business dealings with the KNU. 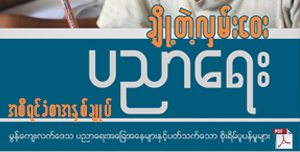 Vice versa, villagers must follow the same procedures with the KNU when conducting business with the NMSP. 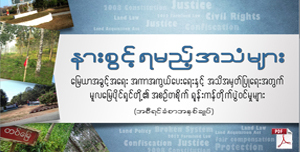 “It is unlawful that the KNU has demanded tax from the 24 Mon villages. If they really want to do this, they first have to negotiate with the NMSP. Now, we have stopped the taxation by the KNU as there was no negotiation between us. Because of our refusal [to allow taxation by the KNU in the Mon villages], the KNU has abused the local villagers. We certainly oppose their actions. We’ll inform the upper levels [of the NMSP] and will negotiate to solve the problem,” said Nai Raja, the NMSP Chairman of Kyar Inn Seik Kyi Township. Now, both the NMSP and the KNU are collecting tax on rubber businesses. The NMSP taxes 10 kyat per sheet of rubber and the KNU taxes 15 kyat per sheet. According to a rubber plantation owner in Wae Kami village, Thanbyuzayat Township, the KNU has been collecting tax from both Karen and Mon villages nearby. 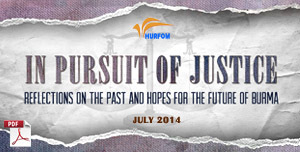 “The local villagers have to struggle between the NMSP and the KNU. In our region, we have the NMSP so we can protect them [from being taxed by the KNU]. As they are unable to collect tax, the KNU has targeted the local villagers so the villagers are afraid that the KNU will abuse them,” said Nai Jae Toi Nai, a local gas station owner.